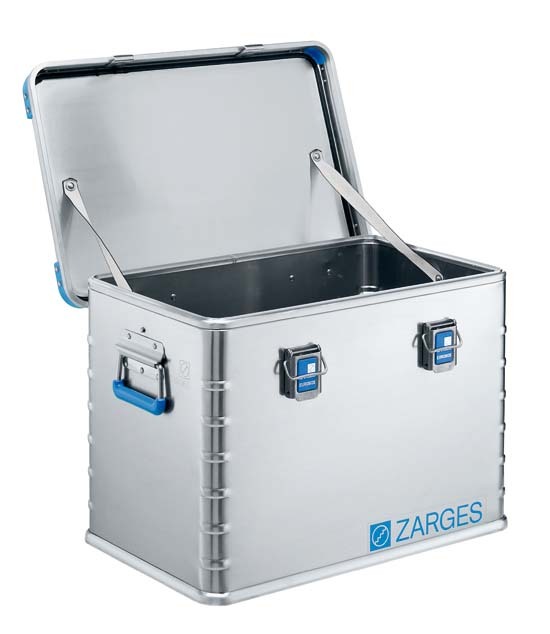 ZARGES EuroBox Series Aluminum ATA shipping case features a stackable design utilizing impact resistant plastic stacking corners, empty interior, surface mounted handles and pad-lockable latches. 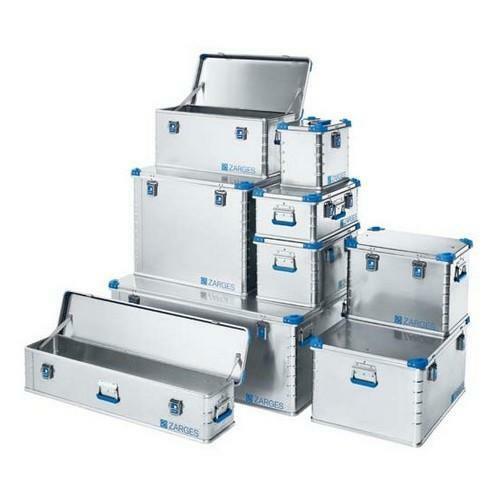 Lid features stainless steel hinge, two heavy duty straps and peripheral seal. Foam interiors, paint and various customization options also available - contact our sales office for a quotation.